Shopify’s affiliate platform provides advertisers with the opportunity to connect thousands of publishers to help optimize their marketing programs. Shopify effectively let advertisers pick and choose the most effective and appropriate publishers to push the right traffic to their site. This makes it easier than ever to start increasing those conversions right away. Shopify provides you with someone dedicated to your affiliate account who is there to help you out whenever you need a hand. They make sure you can earn as much possible from the hard work you put in. SaleCycle’s partnership with Shopify allows clients who use Shopify to work with SaleCycle via their affiliate program. This means the client can work with SaleCycle under the terms of the client’s affiliate program, without the need for a contract with SaleCycle. As a result, there is minimal procurement processing making it even easier to get up and running with our solutions. The relationship we have with Shopify ultimately provides clients with the opportunity to drive more sales and track more conversions all through the Shopify platform. As all result attributions and sales validations are in one place, it becomes a lot easier for clients to interpret and understand where they are getting conversions from. 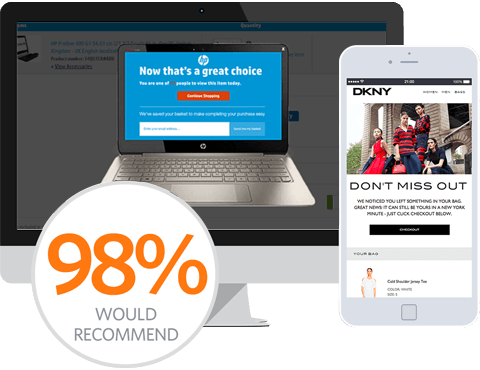 At SaleCycle we provide all clients with an account manager who have a close working relationship with the Shopify team to consistently optimize your remarketing campaigns and fresh. Use SaleCycle's solutions through Shopify's network without the need for a direct contract. Quicker implementation of SaleCycle solutions due to minimal procurement processing. Close working relationship with Shopify's affiliate account managers, helping to constantly develop remarketing campaigns.